The quality of the Cuatro (as for any musical instrument) has a direct impact on the sound and smoothness during playing. There are exceptions to the rule, as you can get some incredible sound out of lesser quality Cuatros. It is only once you get into playing and try a Cuatro of higher quality that you will notice a significant difference. So, if you are starting with a relatively cheap Cuatro, you may wish to consider upgrading quickly as you will appreciate the change! 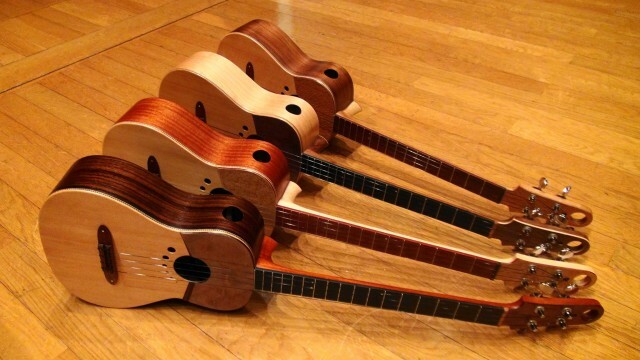 Cuatros are constructed using various types of woods from different luthiers. Ebony, Palo Santo, and Cedar are among the typical woods made use of. Luthiers who are master artisans construct the best Cuatros. TuCuatro is affiliated with several luthiers located around the world, so for those of you would either like an upgrade or a quality instrument & work of art either let us know or consult our luthier’s site. What is a luthier? : An artisan that is able to specialize in the fabrication of musical instruments. Those who construct Cuatros are dedicated within their shops and take much pride in their work. Again, for luthiers with whom you can confide in, let us know.